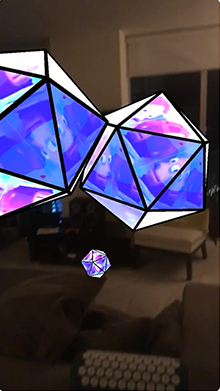 Tap the screen to add new glowy polyhedrons to your space! 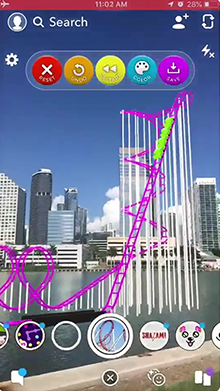 An impressive AR creator of a rollercoaster! 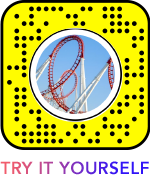 Choose a place, design and change colours of your own rollercoaster. 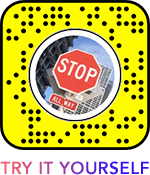 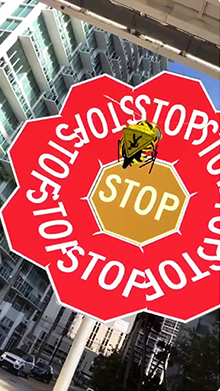 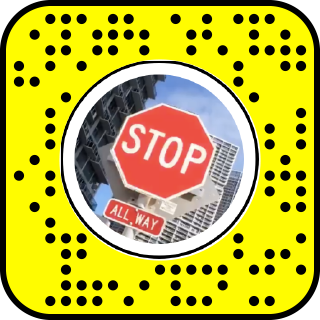 Find a stop sign on the street and change it into a flower! 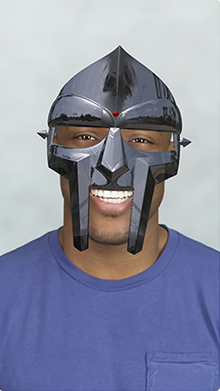 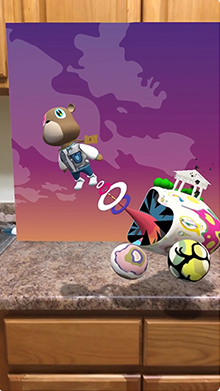 Now you can place Kanye West’s Graduation album cover anywhere you want! 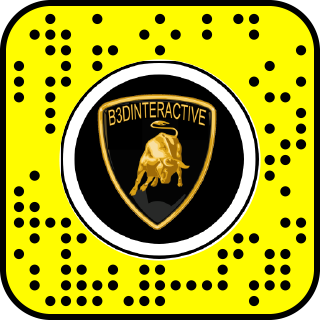 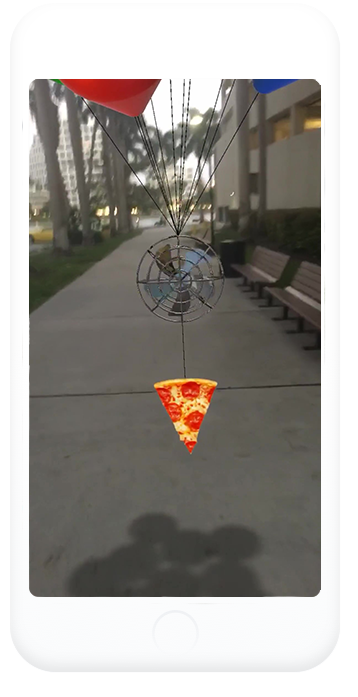 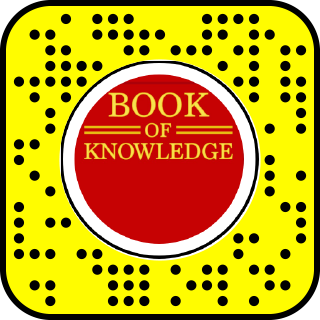 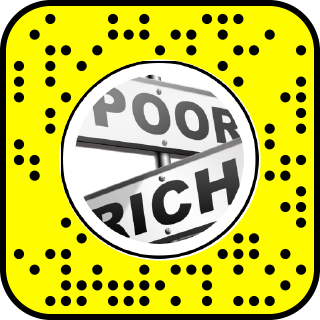 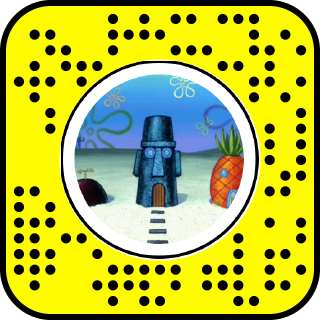 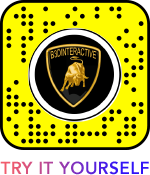  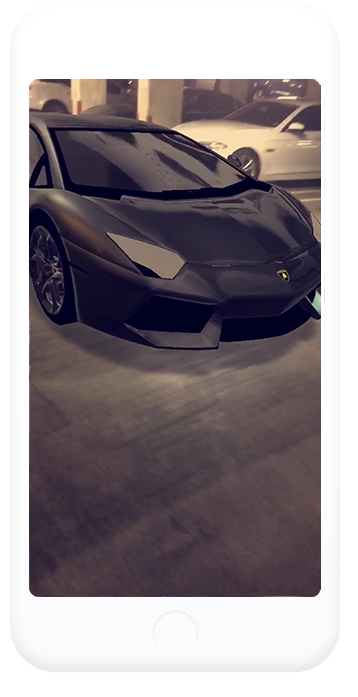 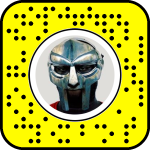 An example of how augmented reality can be used to promote music. 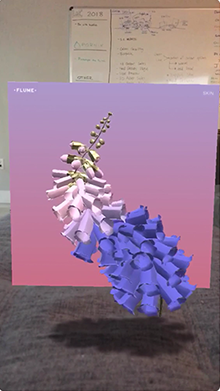 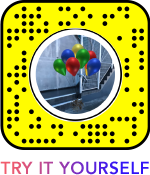 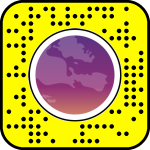 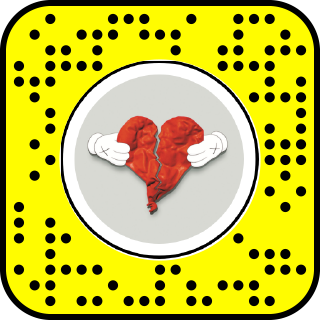 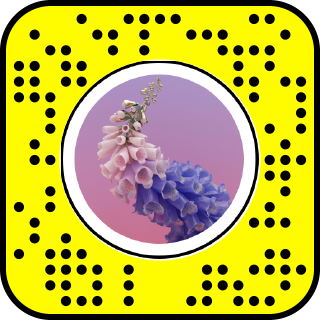 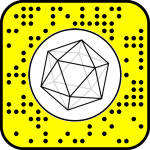 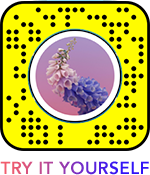 This Snapchat Lens is an interactive 3d model of Flume’s album cover – Skin.